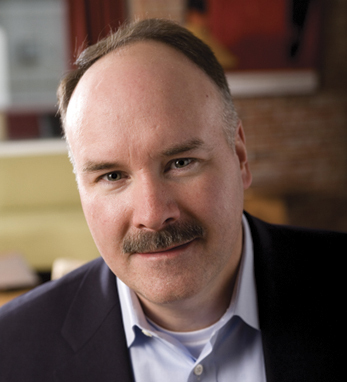 Patrick O’Connor is the chief financial officer at Starcom USA. Based in Chicago, he is a member of the Starcom managing board, and directs a 100-person professional finance and media operations group. Pat became CFO at Starcom in 2003, expanding his role to include financial start-up and oversight of additional business units, including both traditional media and diverse media disciplines. He is responsible for all real estate activities of Starcom MediaVest Group business units in Chicago, including space planning and expansion. He became a certified public accountant in May 1989, and is a member of the American Institute of CPAs and the Illinois CPA Society. Outside the office, he is an active supporter of the Bellarmine Jesuit Retreat House. Pat is a fourth-generation Irish American, with roots in Cork on his father’s side, and Roscommon on his mother’s. He received a bachelor of science degree in accounting from the University of Saint Francis before going on to earn his MBA at Loyola University in 1996. He and his wife, Anne, have five children.